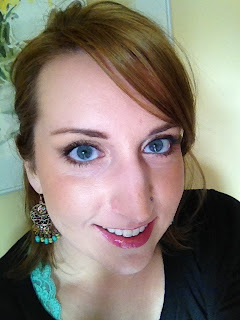 jennie's nails and tales: stila make-up palette giveaway! As we all know, quality makeup is often worth the price but not always easy to afford. Luckily for us, Amber from daydreaming beauty if hosting a giveaway for an awesome eyeshadow palette! And the best part is that the giveaway is open to anyone IN THE WHOLE WORLD! Yes, dear international readers, there's finally a giveaway that you can enter too. Ha! 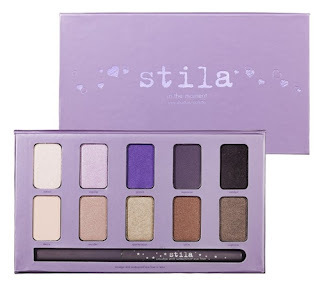 I love stila products and this pallette looks amazeballs, so scoot on down through the descriptions and then enter at the bottom! Good luck, everyone! 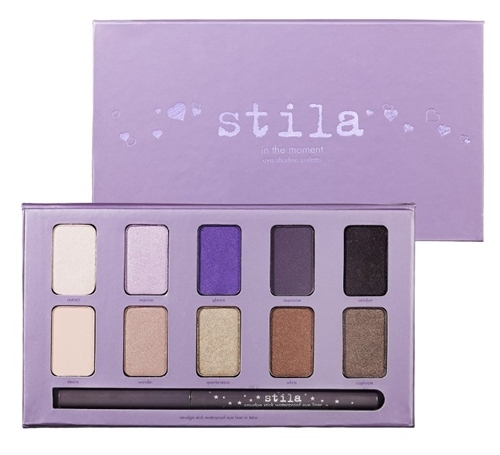 A gorgeous, palette with 10 shades of Stila's award-winning eye shadow formula that can be worn wet or dry. I love that you host the Nail Files now! I'm a fan!!! Canadians can enter this giveaway? Is this an April Fools joke?! Sweet!